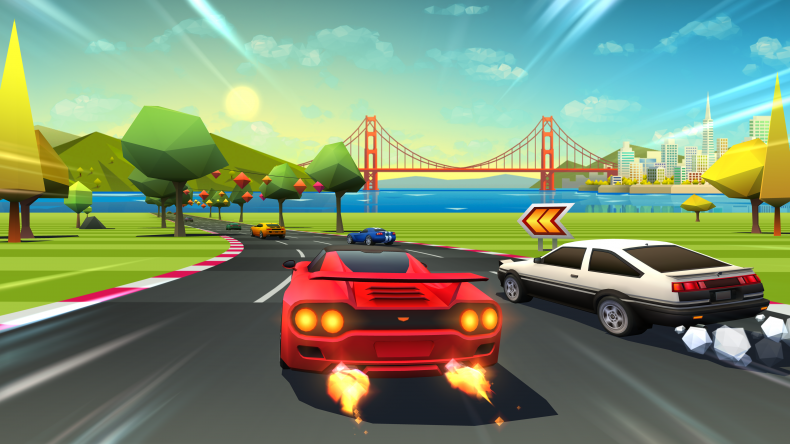 Horizon Chase Turbo heads to Switch and Xbox One later this month. The Switch and Xbox One versions will be the firsts to receive a brand new game mode called “Playground”, consisting of a set of live challenges that will be updated regularly so that players can keep competing in the online leaderboards, and exclusive content for each platform to be announced soon. I love playing it on iOS and can’t wait to revisit it on Switch soon. Horizon Chase Turbo releases on November 28 for Nintendo Switch and Xbox One.